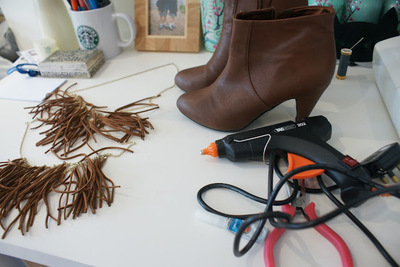 all you will need is a necklace boots and glue!! quick and easy tutorial ! 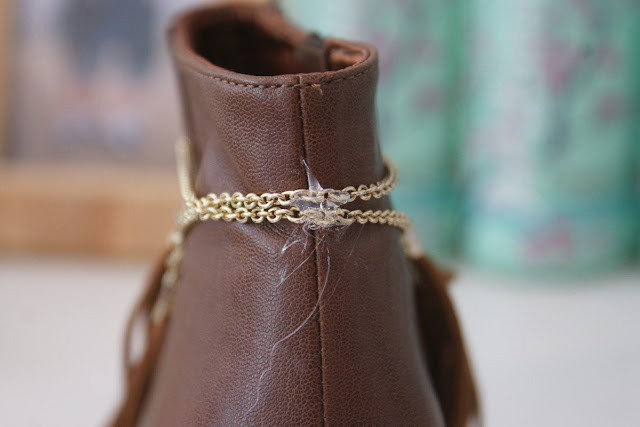 Glue the necklace in place once at the back and front (this was a bit messy had to clean it up a bit ). 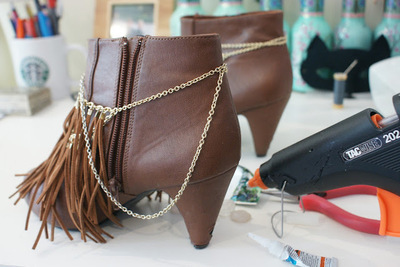 cut any excess chain off and cut where the zipper is and glue each end of the cut chain back onto the zipper. 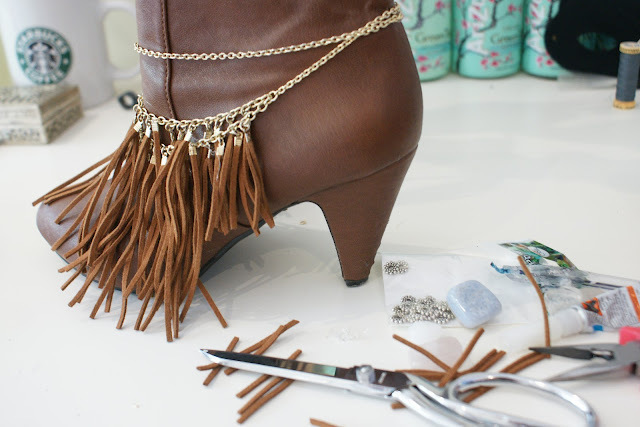 Here I just trimmed the fringe of my necklace as I wanted it to look better.